Today.is.day.30. Whole30 is just about complete! And I feel great. So great that I’m considering doing it again in a few months. For now, I’ll continue on with a low carb diet (I thought about Paleo, but I need my cheese! ), which is what I should be following on a regular basis anyway, considering I have PCOS. This was one of our favorite dinners this month. After a while, getting creative is necessary, so you don’t feel like you’re eating the same things over and over. 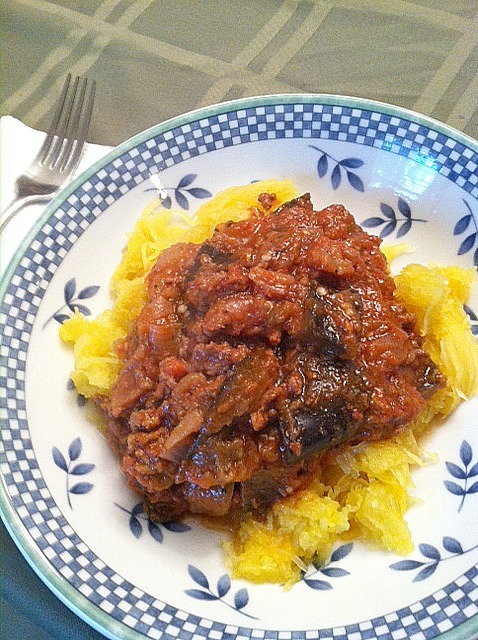 And spaghetti squash is a staple on Whole30…it helps you miss pasta a bit less. Kind of. Now pass the wine, please! Cook spaghetti squash in the microwave for approximately 8-11 minutes. Time will vary depending on microwave and size of squash. Remove and set aside. Meanwhile, heat oil in a large skillet over medium high heat. Add eggplant and onion, and season with salt, pepper, garlic powder, crushed red pepper and oregano. Once eggplant starts to soften, add beef. Stir to combine and cook for a few minutes. Add tomatoes as well as more seasonings to taste. Lower heat and cook for at least 15 minutes to let all flavors combine. Scrape “spaghetti” out of squash and place on plates. Top with ragu and serve. 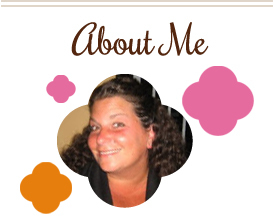 This entry was posted in beef, eggplant, main dishes, QuickAndEasy, squash, tomatoes, Whole30. Bookmark the permalink.